Edited with music, text, and transitions! A video of your property or listing is a great way to get your property noticed. The video will be uploaded to YouTube and be available for the public to find with a simple keyword search. 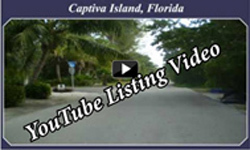 You can also embed the video on your personal website or, with an unbranded video, post as a virtual tour in your MLS. A great way to get your listings seen and to show the property owners you are doing everything to market their listing!